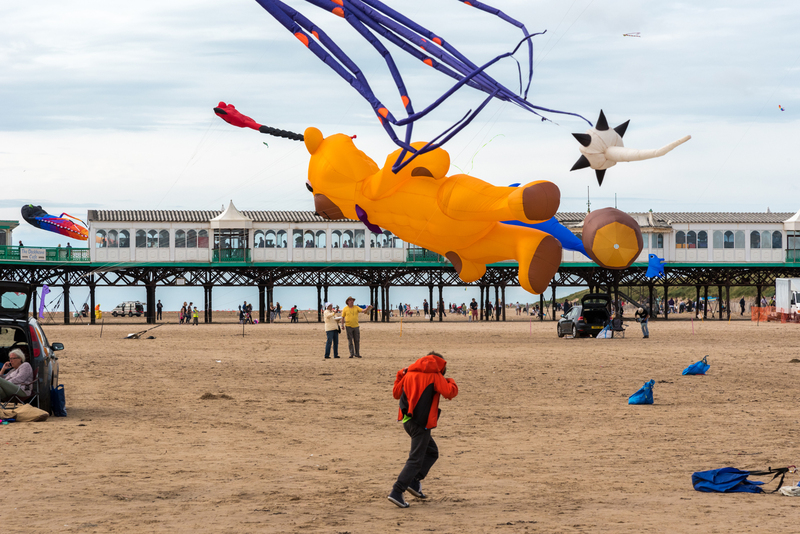 St Annes Kite Festival was organised by members of the Northern Kite Group who say they believe it is important for local people to have a free family event that utilises St Annes’ best resource, its beach. 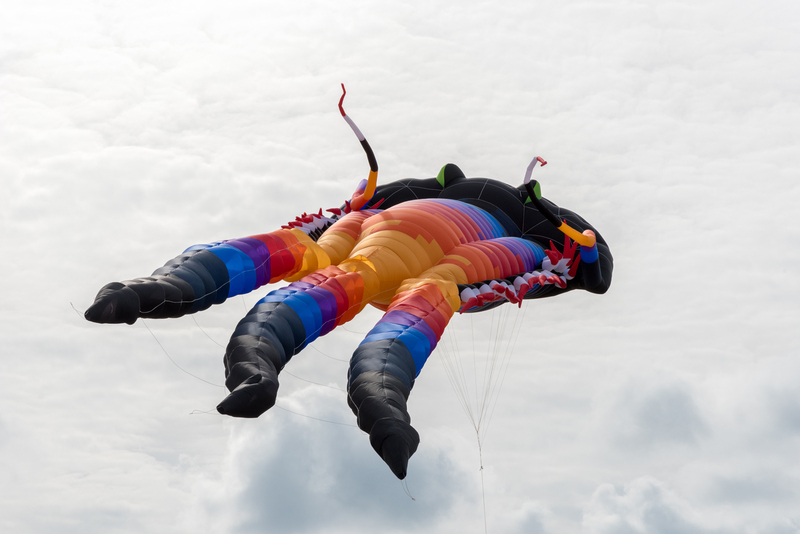 The organisers talked of "bringing the world's largest kite and a truly international team from Kuwait, California, Singapore and Scotland. 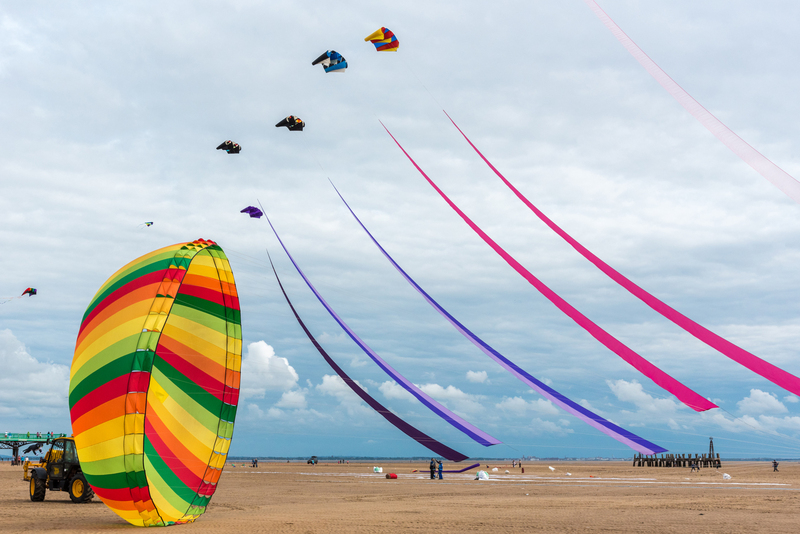 They were looking forward to giant inflatable kites flown in stacks for maximum effect". 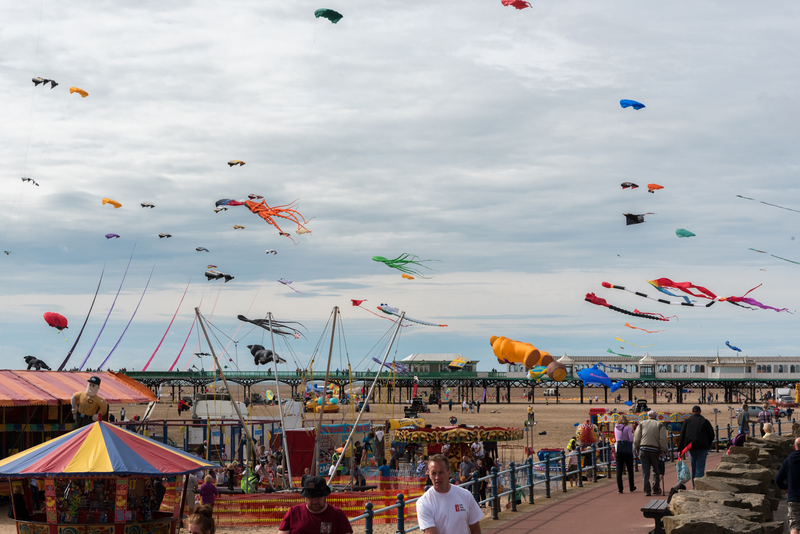 Looking north up the beach towards St. Annes pier. 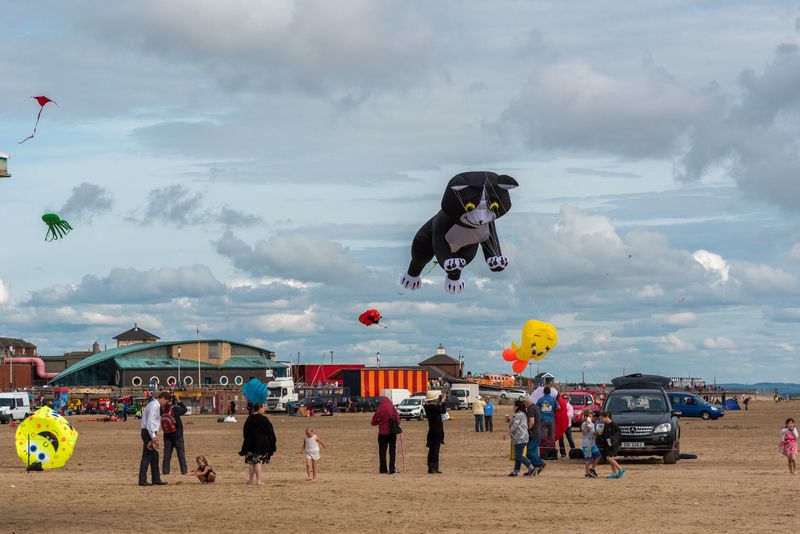 The annual Kite Festival was made possible by the support of our local businesses and with the help of Fylde Borough Council and St Annes Town Council. Some of the collection of kites in flight. 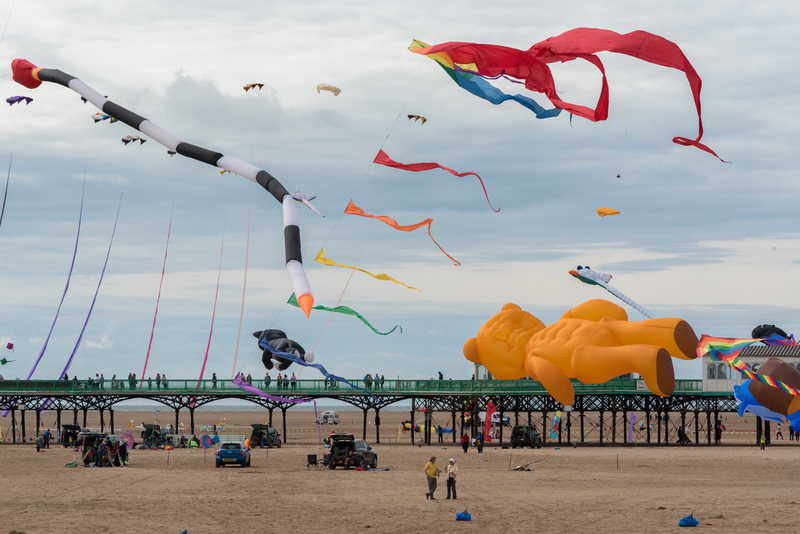 The prevailing westerley wind presented the kites in probably the best way possible. 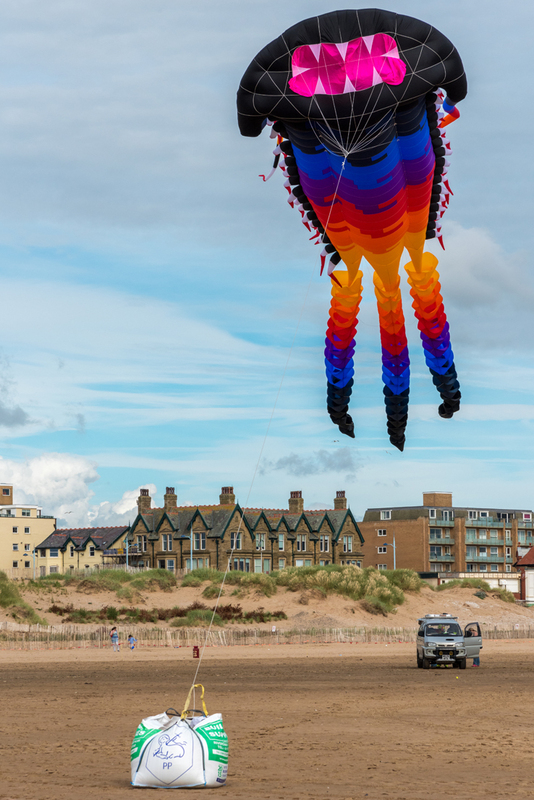 Colourful creations anchored to the beach and flying unassisted at heights of 40-50 feet or more above the ground. Cartoon characters, family pets and the odd octopus entertaining the audience. 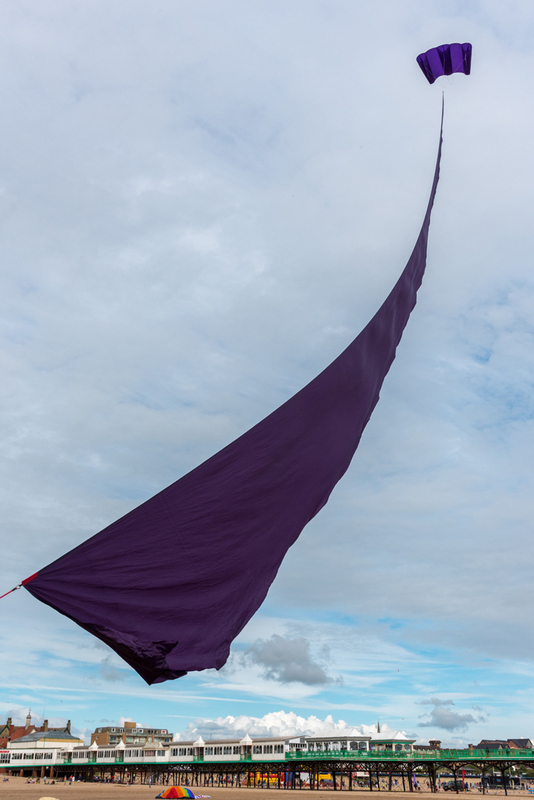 Simple grace and beauty with a single kite-drawn sail. 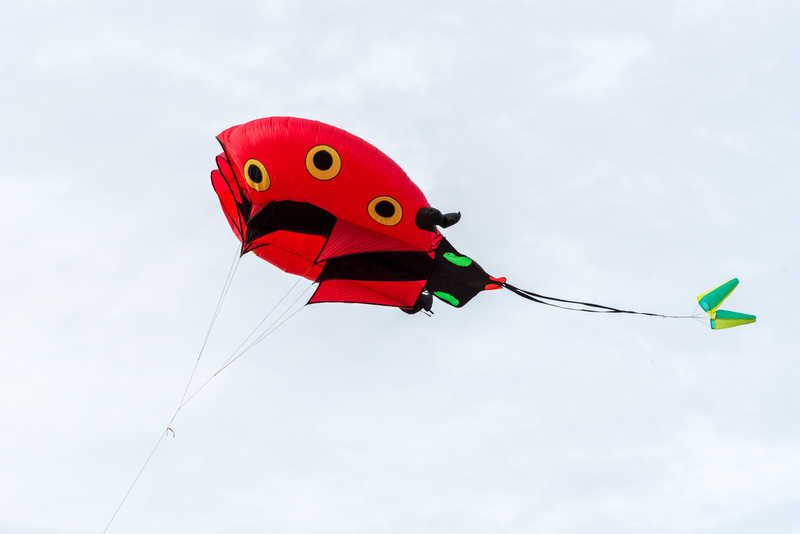 A manta-ray dancing on the wind with a simple but colourful circular kite. The manta-ray's anchor is a large bag of sand. 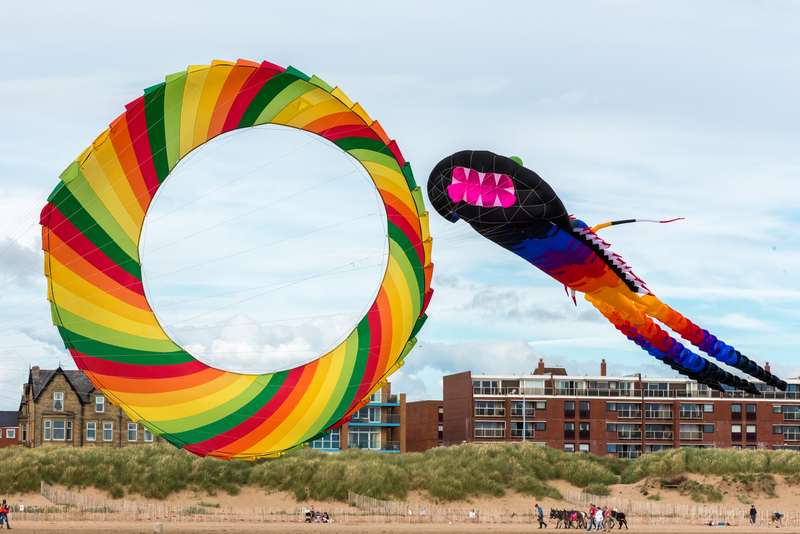 The keynote kite-drawn sails appear to sway on the wind in concert with the circular ring kite. The manta-ray appears almost extra-terrestrial as it floats on the wind.